Maybe a near-term top in 10-yr Note Futures? 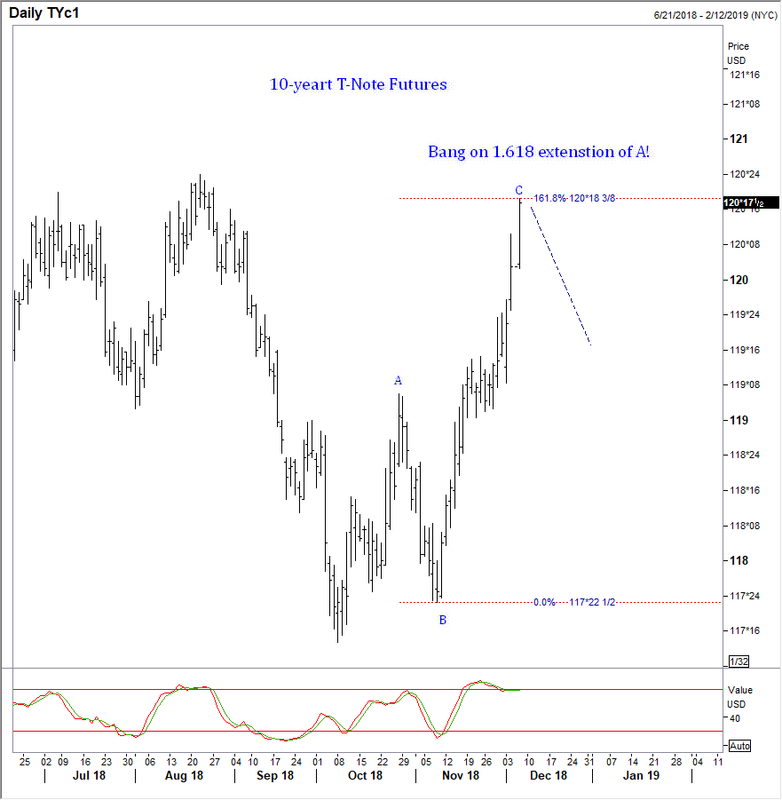 10-year Note Futures (Dec): Maybe a near-term top? Bang on key extension into the high.